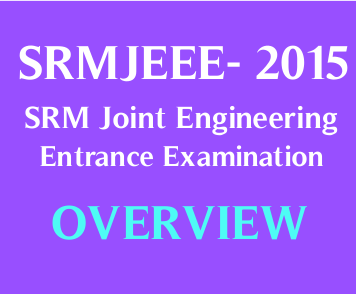 SRM Joint Engineering Entrance Examination is the engineering entrance exam conducted by SRM University Tamil Nadu; the following post takes quick look at SRMJEEE 2015. SRM Engineering Entrance Examination (SRMJEEE 2015) is the entrance examination for B. Tech courses offered by SRM Group Universities for enrolment to every University of their group. There are several universities under this group. The entrance test is for candidates having Indian Nationality. Have to be studied in schools in India in the preceding two years. Must have studied and completed the qualifying examination from educational institutes in India. Students must pass Class XII (10+2) with an aggregate of 70% marks in Physics, Chemistry and Mathematics (for biotechnology, bioinformatics, biomedical engineering and genetic engineering the 70% aggregate in Physics, Chemistry and Biology is required). Candidates opting for biotechnology, bioinformatics, biomedical engineering and genetic engineering will have to give entrance examination on Physics, Chemistry and Biology papers whereas students opting for any other courses will have Mathematics instead of Biology. Candidates applying for the SRMJEEE 2015 must ascertain themselves about their eligibility for the same. The applicant must be able to show the necessary eligibility documents within the stipulated time period. Failure to submit original documents will make the candidate ineligible and cancellation of their candidature. Admission to the SRM Group Universities will be made totally on the basis of the candidate’s performance in the entrance examination. The short listed students based on their performances in SRMJEEE 2015 will be called for counselling to be taken place in SRM University. There are two modes of application procedure available, the online mode and the offline mode. The candidate willing to apply must use any one of the available mode. Applying using both the mode is not allowed. In online mode the candidate has to fill the online form using the unique voucher code generated during the application process. In offline mode the form can be downloaded and filled and then send to the university by any suitable means. The entrance examination can also be given either using paper-pencil method or through online mode. SRMJEEE can only be given in English language. There will be only objective type questions (multiple choice with four options). There are 35 questions each for Physics, Chemistry and Mathematics (105 marks for each subject). Biology paper consists of 50 questions carrying 105 marks. There is negative marking for each wrong answer. The value of negative marking in Physics, Chemistry and Mathematics is 1 whereas that for Biology is 0.7. The entrance examination carries a total of 315 marks. For both online and offline mode of examination the candidate is allowed to carry only pen/pencil and Hall Ticket (to be downloaded from the website after successful application) inside the examination centre. · Candidates can register and pay through online methods or using the unique prepaid voucher code at the time of application at the University website. · Application fees can also be given using Demand Draft drawn in favour of SRMIST, payable at Chennai. This must reach the University before the deadline as the application will only be considered after receiving the application fee. · The candidate can obtain the application form via offline mode from any SRM Group Universities upon giving the Rs. 900/- as the fee for application. · No application form will be received after March 15th 2015 and no consideration will be made for applications reaching thereafter. · The SRM Group Universities advised the candidates to keep a photocopy of the application form. · The paper-pencil entrance examination will take place on April 26th 2015. · The online mode of entrance examination will be held from April 19th to 22nd 2015. 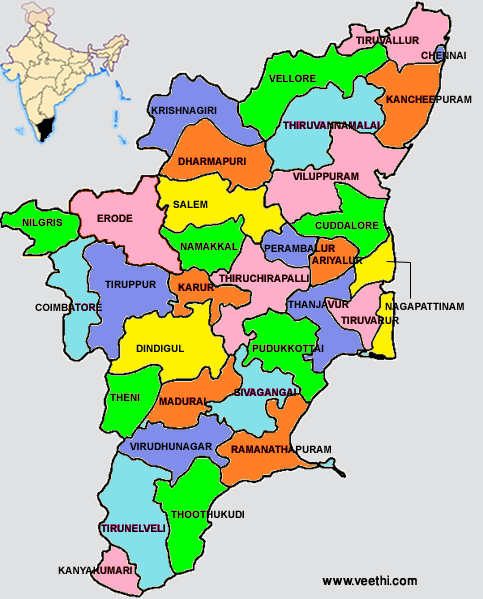 SRMJEEE is one of the most popular engineering entrance examinations to be conducted in south India. Make sure that you are extremely well prepared; exams are knocking at the door, so pull up your socks and put your best foot forward.